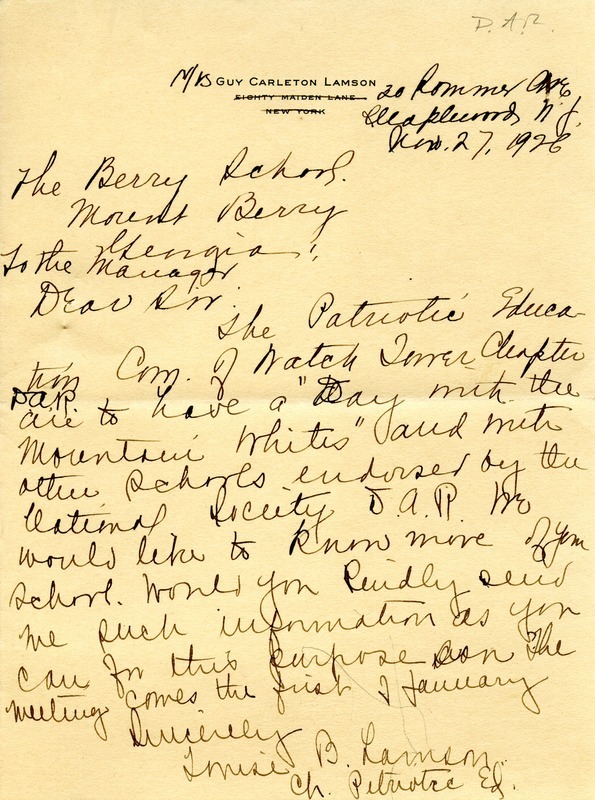 A letter asking for more information about the Berry schools for possible donation from the Watch Tower chapter of the DAR. Mrs. Guy Carleton Lamson, “Letter to the Berry Schools from Mrs. Guy Lamson.” Martha Berry Digital Archive. Eds. Schlitz, Stephanie A., Rachel Renaud, et al. Mount Berry: Berry College, 2011. accessed April 20, 2019, https://mbda.berry.edu/items/show/1319.